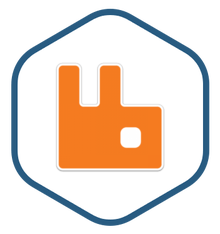 RabbitMQ image is secure, up-to-date, and pre-configured to work out of the box. RabbitMQ is a messaging broker that gives your applications a common platform to send and receive messages, and your messages a safe place to live until received. RabbitMQ features several built-in exchange types for typical routing logic. Client libraries to interface with the broker are available for all major programming languages.